Our personal, one-to-one Evaluation consultation service is by request. 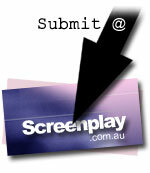 Rather than a written Evaluation service, you receive a phone consultation about your screenplay. As a result, you have the opportunity to discuss various aspects of your project with an eye toward improving the next draft. To use this service, please contact us directly to check current availability. This service necessarily works around our production schedules and may involve substantial delays.